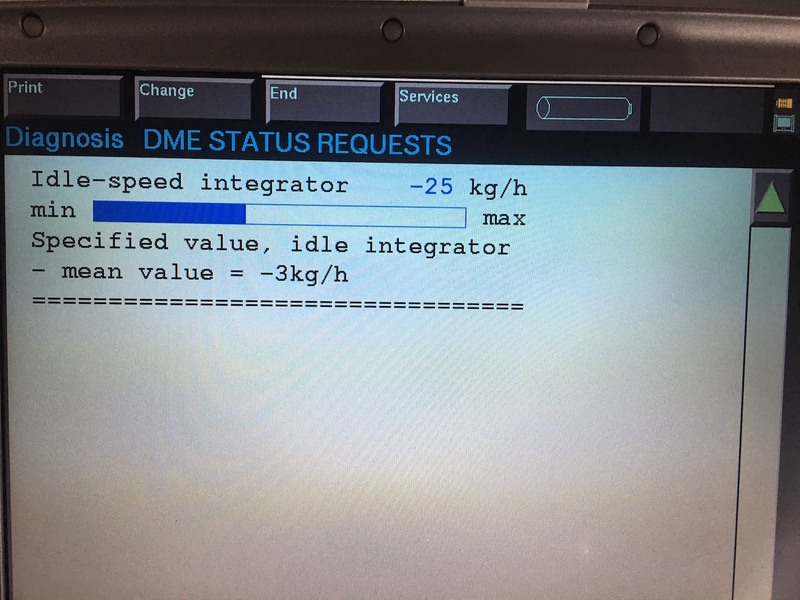 So my M328i (full M3 conversion with S50B30) has a misfire at idle. Its bad enough to rock the car, but not enough to stall it. Sounds like i have a big grumpy lumpy cam. There is a strong "rich" smell from the exhaust at idle. The misfire is kinda cyclictical, like its a particular cylinder dropping every time. It drives well and pulls very hard, with no obvious signs of misfires etc when driving, just at idle. Cruise appears ok with no obvious surging. Vanos is working OK. Holds within 2-3 degrees of the target in the DIS test (so not perfect, but OK). Has new solenoid seals and filter. Solenoids were cleaned and test OK.
ICV has been cleaned and moves freely. Hoses appear OK, no obvious cracks. MAF has been cleaned, no change. Idle changes when MAF is disconnected but misfire still present; doesnt stall when disconnected. New coils. Spark plugs arent too old and although last time i checked were a bit dark, looked OK. New rocker cover gasket, coils are dry/no oil. Cam sensors give what appears to be normal readings in INPA. TPS gives nice smooth resistance reading across the range, measured from pins 2-3. Car runs much rougher when you disconnect TPS. CCV thing under intake is covered in old oil, but no obvious signs of leaks in hoses. This is on the list to be replaced. This is a South African spec engine, so no emission controls. No cats, no O2 sensors, no air pump, from factory. There might be a leak at the manifold flexi, but it shouldn't cause any issues due to no O2 sensors. I'm clearly missing something really obvious. Anyone have ideas of what i have missed? 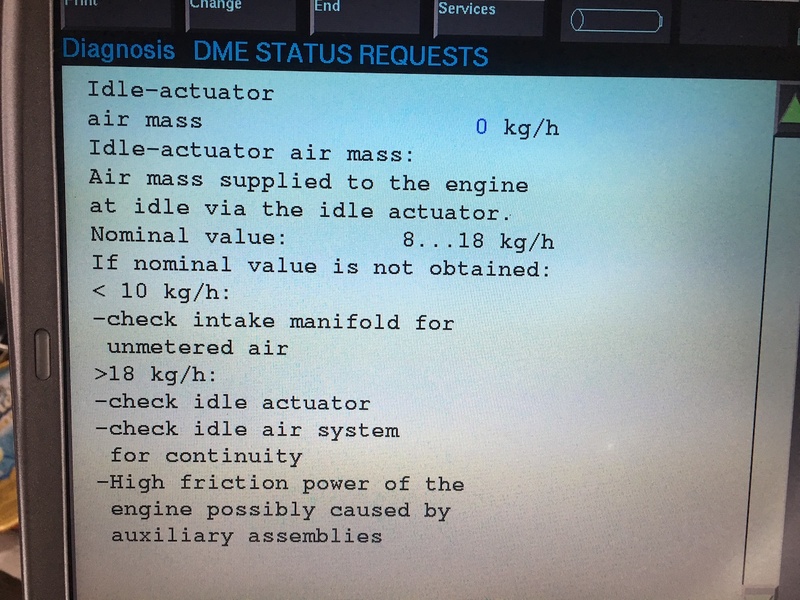 I had the exact same issues, sounded like a lump cam, rich fuel smell, car rocked when stationary at lights, issue was intermitant and was fixed by replacing 02 sensors. Andy at Manawatu BMW worked on my car and fixed it. Thanks but yeah, no O2 sensors on this engine, not even the wiring for them. I did a quick CCV test by taking the oil cap off whilst the engine was running. Cap was easy to remove. idle didnt change, but there was a noticeable sucking noise present. Sign of CCV failure? PCV system on those is just a basic valve and hoses isnt it? No vacuum leaks? Checked the fuel pressure regulator? 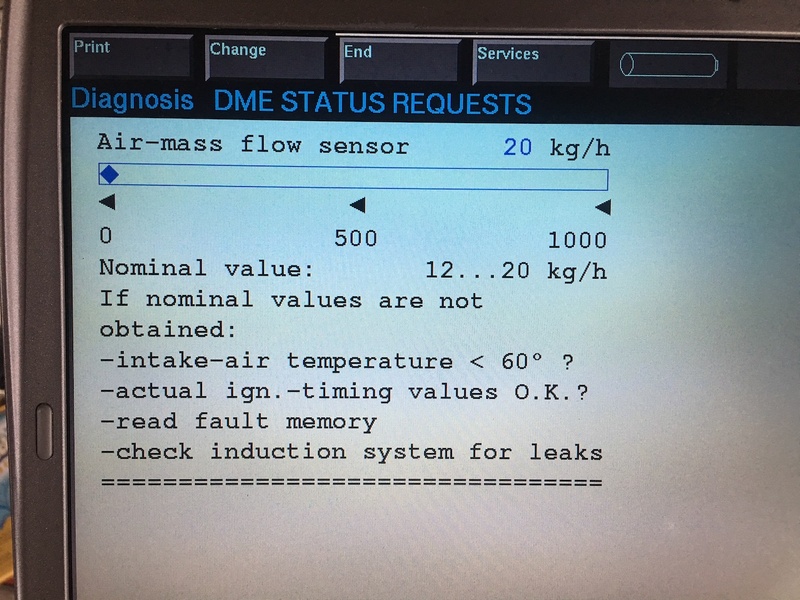 MAF and coolant temp sensor readings ok? its one of those ones that has the oil seperator under the intake, with hoses to various different places. I didnt take a real good look when i was under there (didnt know the car still had a misfire a the time) but didnt notice any obvious cracks in hoses etc. Did note that the unit was covered in old oil though. No obvious vacuum leaks but dont have a smoke tester here. Dont have what the normal readings should be for sensors, but coolant temp seems to read OK.
Did some more digging, and using DIS this is what I have come up with. Looks like i may have an air leak? Tried spraying some starting spray around various intake parts, but no change in idle. Yeah it looks like its S50 specific but looks similar to the M52 setup. Easy to miss cracks sometimes in those hoses etc which is why i love my smoking device. Lines can block up also along with the dipstick tube (should be able to blow thru the leads to the dipstick into the sump to check for blockage).Would expect a slight vacuum at oil cap with no real idle change on these. Not sure what you mean by noticeable sucking noise, probably one of those things you have to hear yourself. If you going to replace it anyway it probably doesn't matter. Would expect the MAF reading to be about ~15kg\h when fully warm at idling. 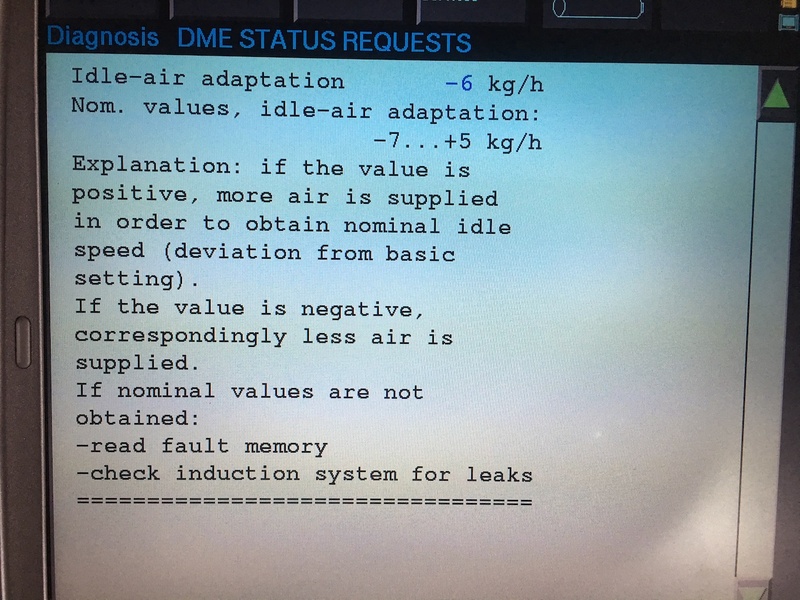 Out of interest have you reset all adaptions and rechecked fuel trims? Haha yeah forgot about that, my old E34 540i was the same and a pain to scan. I gave up using spray to find leaks many many years ago, too much in the way and too much hidden on many engines. Smoke machines are easy to make or cheap to buy do the job much better. One of most useful things ive owned. CCV and hoses, ICV hoses, intake O-Rings, FPR vacuum hose, all replaced. No leaks, still idles lumpy. The last thing i can think of, is could it be valve clearances? There is a tick from the engine, and i doubt they have been done. The head was off a couple of years ago and unlikely they did them then.